Tecate group offers a family of AC Safety Capacitors for X and Y class applications which require across the line and line to ground protection. This product is UL recognized and IEC 60384-1 compliant, and available in SMD and radial through hole packages. 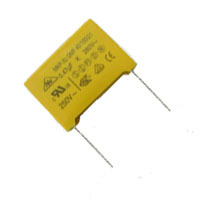 These capacitors are ideal for providing surge and transient protection to sensitive electronic circuitry, as well as the users. These devices are also commonly used to filter EMI in power supply applications.